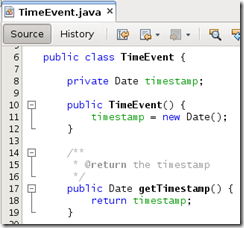 Using NetBeans 7.3.1 and GlassFish 4.0 – as well as a number of blog-articles and sample applications – this turned out to be very simple to put together. Using the wizard, creating a new project is straightforward. 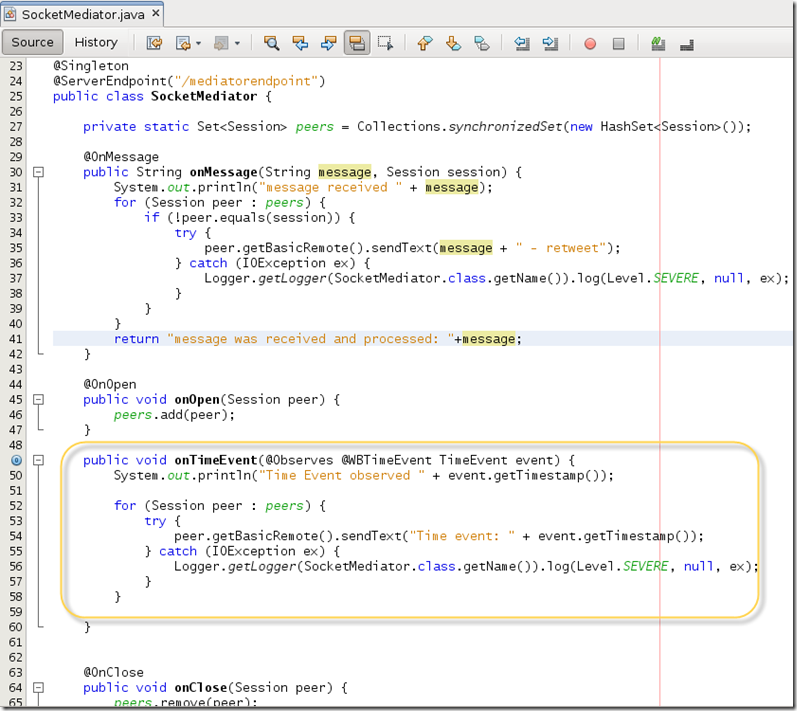 This class itself is simple; it has not interface to implement nor annotations to contain. The container – and therefore our code – can discern between different types of events. Using an Event Qualifier – such as WBTimeEvent shown below – we can guide our observer methods in the specific events and conditions they listen for. This class is arguably the most interesting one of the lot. It exposes a WebSocket endpoint – at the path socketmediator. That means that messages sent to ws://host:port/appname/socketmediator will end up in the onMessage() method in this class. 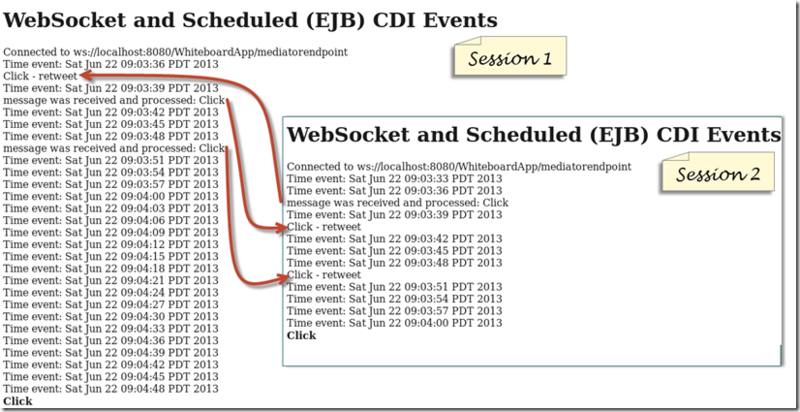 Whenever a client opens a connect to the websocket at mediatorendpoint, the session for that client is retained in the peers collection. 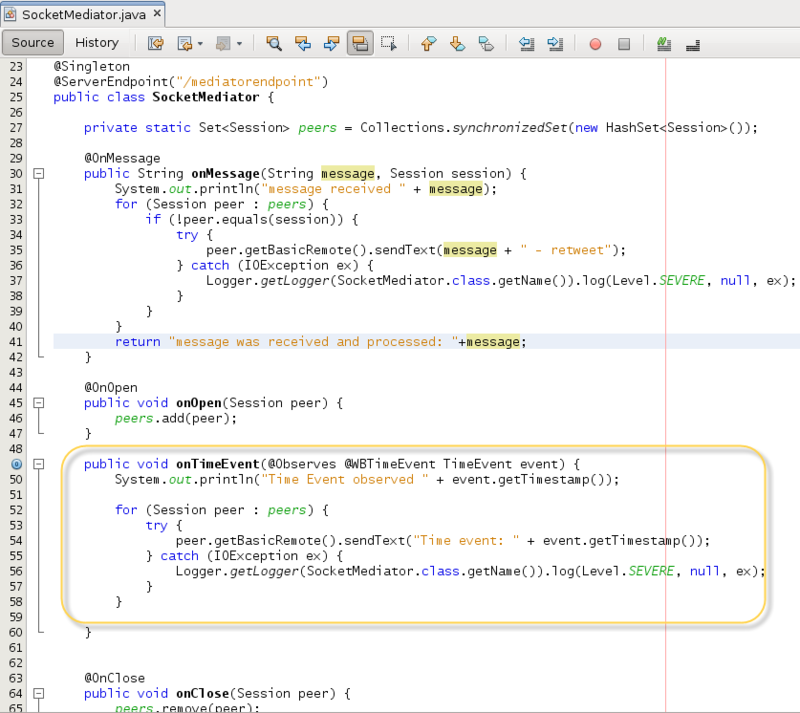 This collection is used whenever a message is to be pushed to every client. 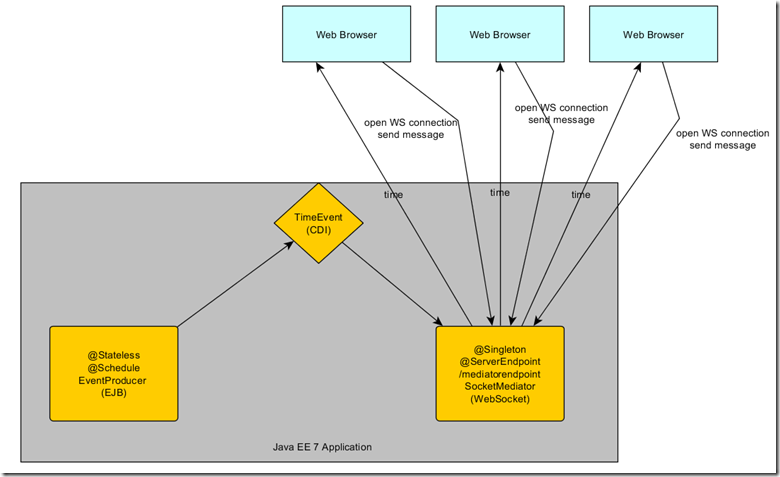 When a message arrives on the WebSocket – onMessage method – its content is forwarded to each of the connected clients , except the sender of the message. This sender receives a message that advises about the message having been received and processed. 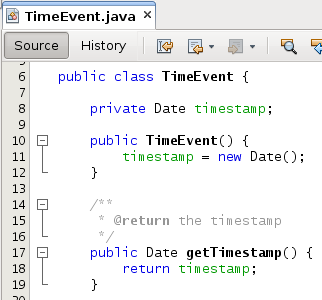 The onTimeEvent method observes the TimeEvent (with WBTimeEvent qualifier). Whenever that event occurs, this method will be invoked by the container. 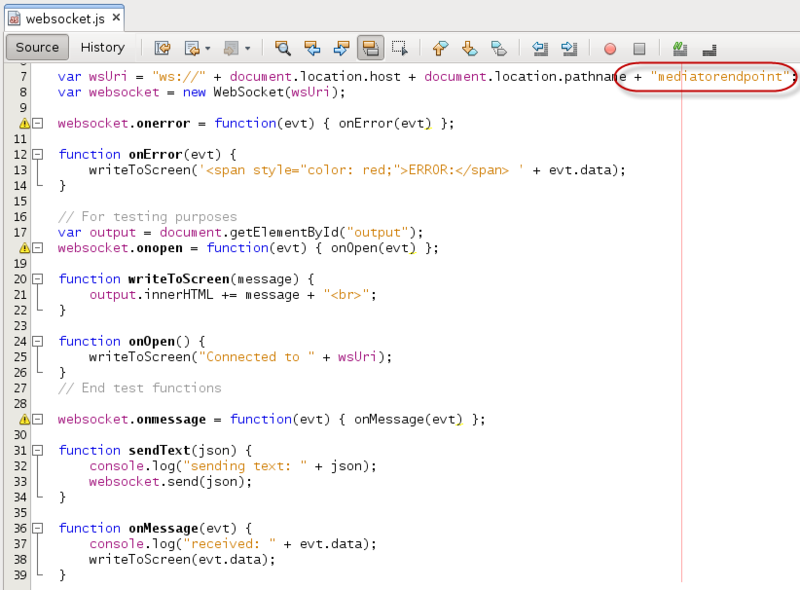 In the method, the payload is taken from the event and sent in a WebSocket message to each of the registered clients. 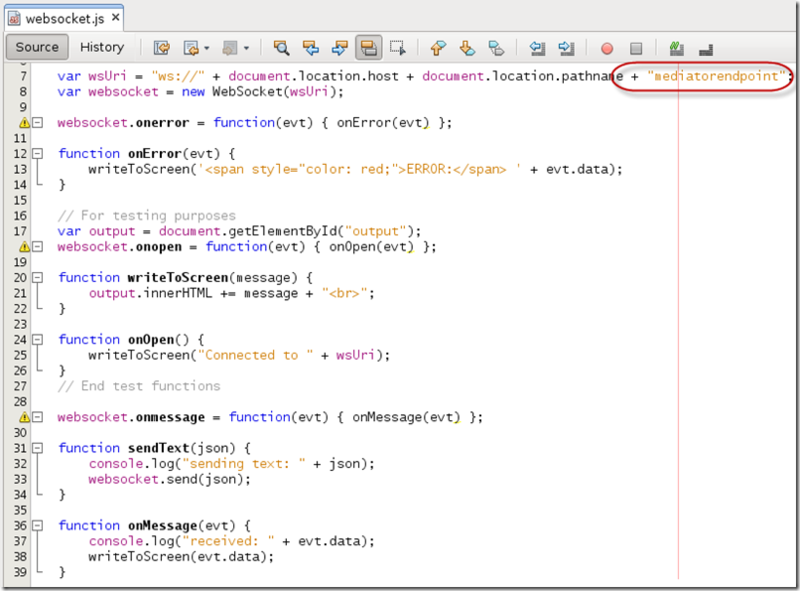 The application can easily be run from NetBeans, deployed directly onto the GlassFish 4.0 Server. 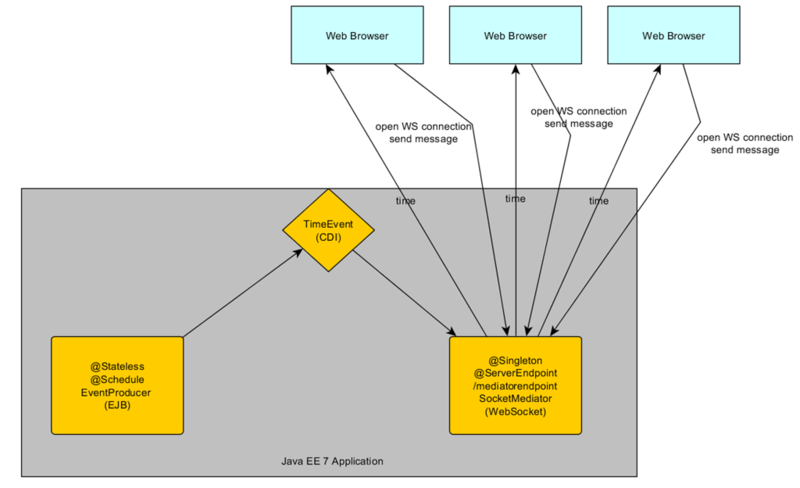 As soon as the browser has started, the web socket connection is established and the web socket messages based on the time events start arriving in the browser. When the link Click is clicked, a message is pushed over the web socket channel to the server where it is forwarded to each of the connected clients. 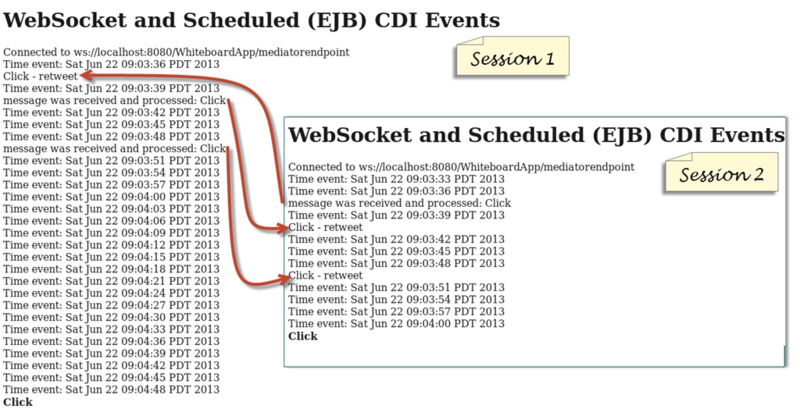 Download the NetBeans/Maven Project with the sources for this article: JavaEE7_WebSocketEJBTimerCDIEvents.